These LED black taper candles have the melting waxed dip look of real candles. Perfect for Halloween but you may find you will use them all year. LED lights provide the illusion of flickering flame and are rated for 120 hours of use. Candles use 2 AA batteries not included. Plastic. 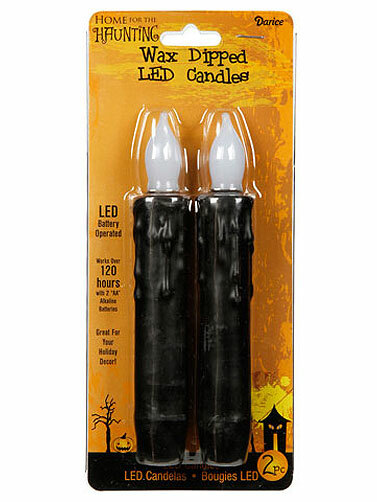 Black Wax LED Taper Candles measure 6.5"H. 2 Pc.